I went to a couple drugstores in the city yesterday and I came across this gellie glitter polish that is an exact dupe of Sinful Colors Hottie which I had planned on purchasing tomorrow! 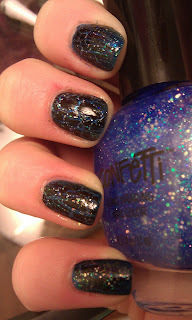 So either way I picked this up along with a few other polishes which I'm sure will make appearances soon. 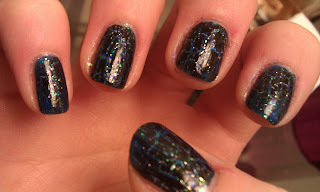 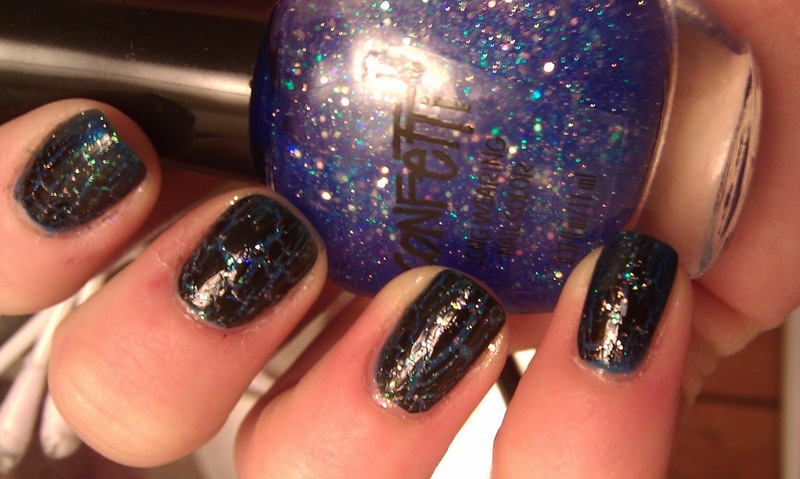 I layered this glitter over one coat of Blue Streak by Ulta so the glitter would be full coverage. I applied 3 coats of this glitter followed by one coat of wet n wild hallucinate for a multi glitter look. Black crackle finishes this look. 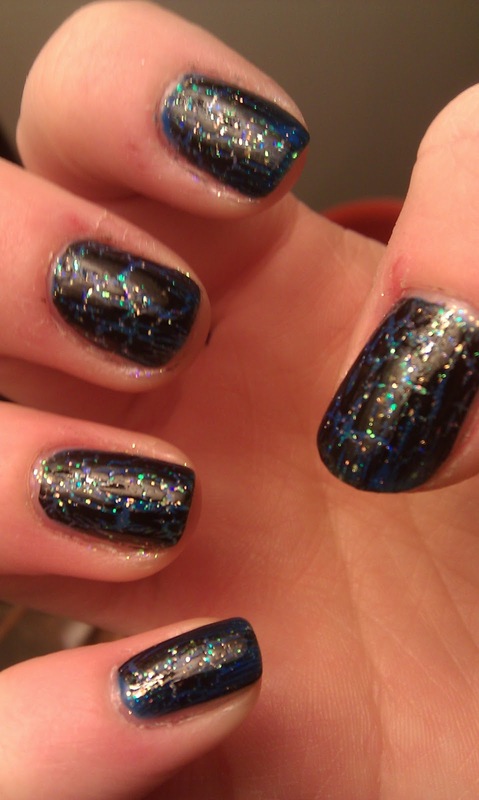 I wasn't super impressed with the combo but it is still pretty none the less.